Our EPNS Silver Plated Cutlery is guaranteed for 55 years. 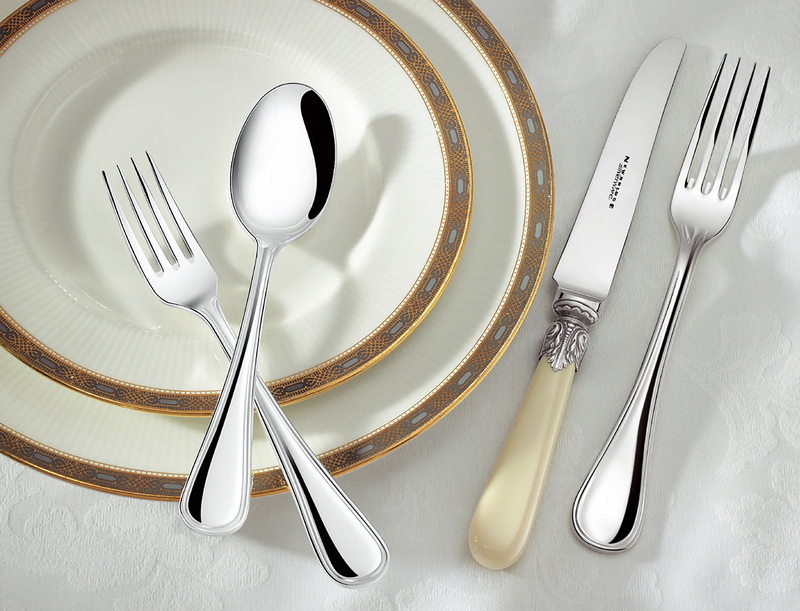 Using centuries-old Irish craft techniques, the Antique cutlery pattern features a unique knife design, which was created by Newbridge Silverware in 1993. This smooth, cream-coloured handle is offset with an ornately patterned ferrule. The Newbridge Silverware Antique knife is contrasted with stylish complementary items to enhance any dining occasion. View our EPNS collection brochure. Silver is a relatively soft metal that requires sympathetic handling and cleaning, by adhering to the care advice, cutlery of this quality can last for decades. Our EPNS cutlery carries a 55 Year Guarantee.